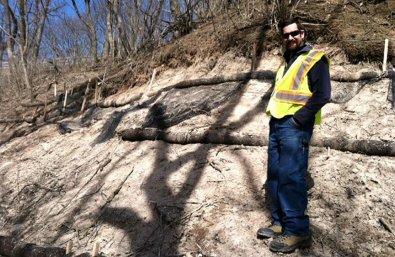 In 2007, the Wisconsin DNR constructed a spawning reef in the Milwaukee River downstream of the former North Avenue Dam to restore spawning habitat for lake sturgeon and walleye in the Milwaukee Estuary. With support from the Fund for Lake Michigan, DNR will adjust and enhance the reef, which has become partially exposed by recent historic low water levels in Lake Michigan and Lake Huron. The restored reef will provide more than an acre of spawning habitat, increasing the sustainability of fish populations in the estuary.